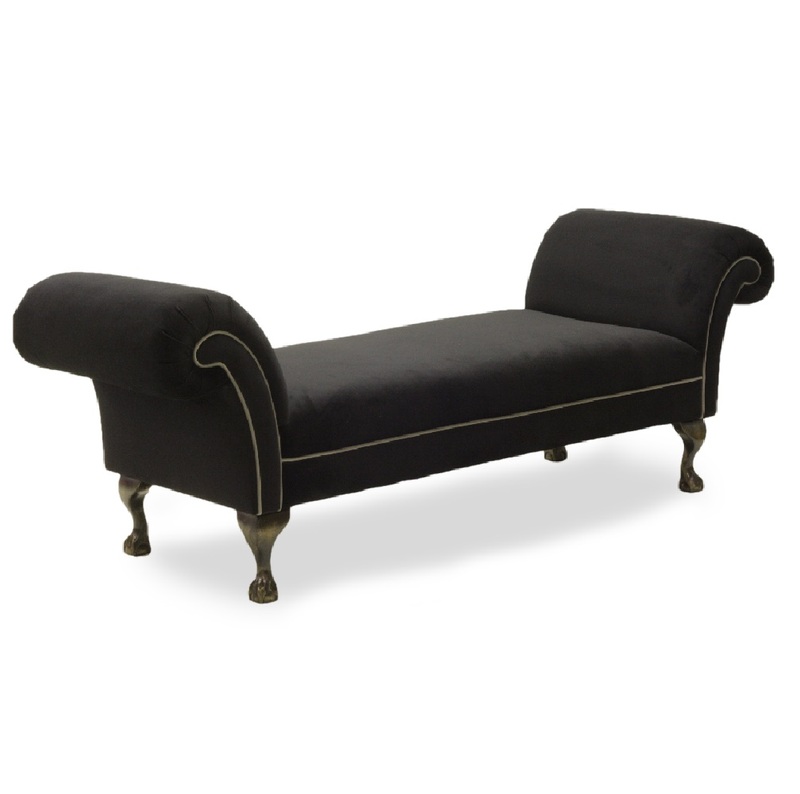 Perfect for the end of your bed, shown here our Antique style backless double-ended chaise in a black velvet with contrasting grey piping. Legs are dark oak ball & claw. All our chaise longues can be made in any of our fabrics or one supplied by you. The choice of leg style and colour is also entirely up to you.